Post your weightlifting/calisthenics progress pics here. 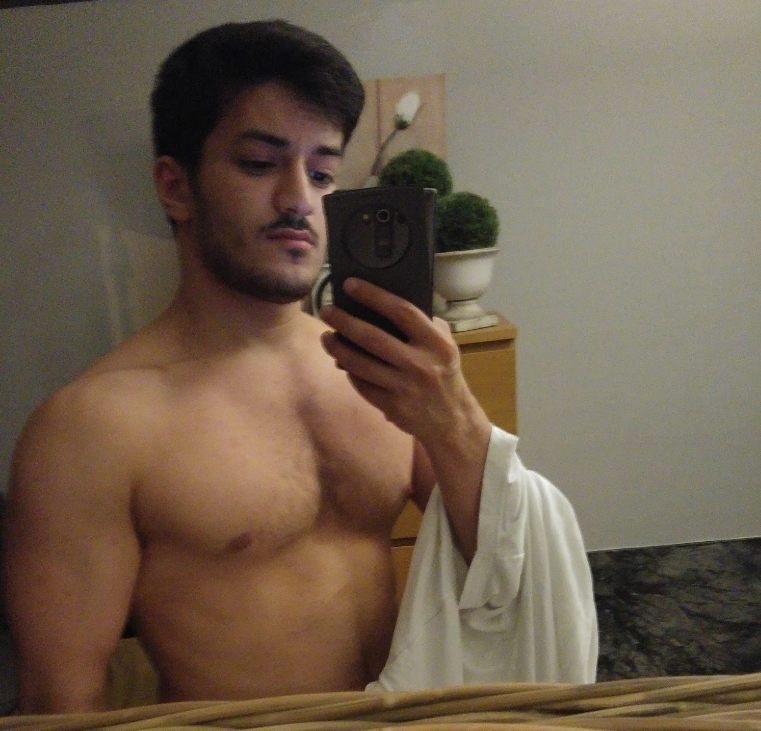 This is my current status after about 1 year (with breaks) of powerlifting (only using a barbell) without any supplements. 67-68 kg (149 lbs) body weight at around 168 cm (5'6") height #short. As of August 18th, 2015, the Shinobi Life Online Forum has an advanced reputation system implemented, below I will explain the exact workings of this system. Let me start by saying that the reputation system serves as a way of acknowledging the quality of a member on our forum based on their contributions. Another important fact to note is that the more a member is respected on the forum, the more influence he/she will be able to exert on others, positively or negatively. The minimum posts required to be able to give or take away reputation from a member is 50. Every member starts with exactly 100 reputation. For every 50 reputation a member has, said member has 1 reputation power. For every 250 reputation a member has (or for every 5 reputation power), said member has 1 reputation bar. The reputation power of a member is the amount of reputation said member is able to give or take away from another member. Reputation can be given or taken away 24 times per day, with 1 hour of wait time in-between every session of reputation adjustment. Every member has to give 3 distinct members reputation before being able to repeat reputation adjustment to the same member. Reputation is given or taken away from members on a post-based level by pressing the icon on a certain post made by a certain member. In case of reputation abuse, a Global Moderator can be contacted to undo the reputation actions involved. Added player spectating upon death (or when frozen). Forum name colors are now translated into the game. Network tick rate has been reduced to 16.67-tick, resulting in a 33% improvement of performance. Commands /enableAntiAliasing and /disableAntiAliasing have been added. Commands /enableMotionBlur and /disableMotionBlur have been added. Commands list has been updated. Changing graphics with /setGraphics now also enables or disables anti aliasing and motion blur internally. A death-related bug has been fixed. A speed-related bug has been fixed. Camera bug when teleporting players has been fixed. Chatbox text formatting has improved. Player list text formatting has improved. Speed text formatting has improved. Info text formatting has improved. Older clients can no longer authenticate and connect to the server. We have just released SLO Development Version 1.0.6.5 to ALL MEMBERS. This post will cover all of the November updates for those who have been absent and for those who haven't been but have yet to hear about the new updates. Note: This list does not contain updates we haven't released/won't release during November. Some of you may have heard me mention a one time initial purchase + a real money store (without being Pay2Win) as a ways to monetize SLO and fund the maintenance and further development of the project. Yesterday I realized that an initial one time purchase might greatly limit our player base because of people not having a chance to try the game out properly. So I came up with a new model. The real money store which sells stuff like special items, cosmetics, weapons and armor (all of which do not give an advantage over regular items, cosmetics, weapons and armor) stays the same as planned. But we scrap that initial payment and replace it with a free to play and pay to play subscription based model. To put it simply, you can start playing the game for free and upgrade your account for extra features with a monthly subscription whenever you like. We will definitely not limit those who choose to continue to play for free. A free account will be just as capable as a premium account. As opposed to free accounts, where you can only have one character per account, and where that character can only exist in the world it was created in. Premium accounts can have multiple characters per account and these characters are free to be played with in any worlds. This means that if you create a character using a free account on a normal server, you can only play on a normal server with that character. Upgrading to a premium account will allow you to play with that character in any type of server. SLO Premium Credit will be introduced to buy items from the real money store and to buy a 30-day premium pass for a premium account status. You'll be able to buy SLO Premium Credit using real money. Any donations/crowd-funding pledges made before the release of Shinobi Life Online will be awarded in their equal value in SLO Premium Credit to your account. A 30-day premium pass will cost something between €10 and €16. Unfortunately, I won't be able to work on SLO during these months because of exams. So development on my side will be halted for 2 months. A small exception will be made for a Christmas patch. Below is a list of the Hidden Villages present in the Shinobi Life Online Universe. The chakra natures of a Hidden Village are part of its legacy. All children born in a Hidden Village will inherit one of its two chakra natures as their primary nature. You as a player will be allowed to choose which of the two natures, respective to the village you choose, you want your character to have as its primary nature. The secondary nature of a shinobi is unlocked at a later stage of his life and is decided on equal probability for whatever chakra natures there are left. This means that your character will have 25% chance of getting whatever combination of two chakra natures you would prefer. The combined chakra nature is the true legacy of a Hidden Village. A very small percentage of shinobi known as Legendary Shinobi who have inherited both chakra natures of a Hidden Village, also inherit that Hidden Village's combined chakra nature. Inheriting both chakra natures of a Hidden Village happens at 25% probability. Inheriting the combined chakra nature of a Hidden Village on top of that happens at an additional 0.8% probability. This all results in a total probability of 0.2% for a character to inherit a Hidden Village's combined chakra nature. Or, every 1 in a 500 players will inherit a combined chakra nature. Chakra Natures: All of them. Combined Chakra Nature: None. Shinobi of Okagakure can unlock a third nature instead, if they inherit their village's legacy. This is a message to all of you contacting me for a future position as my apprentice. I can tell you one thing, contacting me here on the forum is not the same as doing so in the future game. If you manage to contact me in the game somehow, then I might (and that's a BIG MIGHT) consider your request. Alright guys, me and Saitou disagree over how the jumping should be done. So we decided to let you guys choose. When you jump, you can jump again up to two more times mid-air. This will re-accelerate you. You can re-accelerate whilst in the air at any time, as long as you were accelerating before you did the re-acceleration. If you were falling down, then re-acceleration would not be possible. The re-jumping will go together will a typical forward rolling animation. This type of jumping is fun and gives you great control of your character in mid-air, which is something typical in a Naruto-like universe. This type of jumping is used in the Ultimate Storm games. It also looks and feels great when you jump from building to building, while in Saitou's system that part is very static. The hopping effect of mid-air jumping is not present. I think the jumping system in Shinobi Life Online should be space-hold based. Meaning, the longer you hold the space, the higher you go. as your chakra increases as-well ? Multi-jumping system on the other hand reduces the necessity of that. which doesn't happen in the Naruto world, or rarely ever does. Not that big of a deal I know, but it was needed. The Community Stress Test on the 8th of February will take place at 6PM GMT/UTC. Everyone that signed up will get a personal message 10 minutes before that time containing a link to the test.